Meal planning is often a significant challenge for those just starting out on a plant-based diet. In fact, according to my online survey of Plant-Based Cooking email subscribers, meal planning is the #1 challenge! "My physician wants me on this diet and I don't have a clue what to do!" "I'm not sure how to put a meal together that is nutritious and appetizing." "I’m lost putting a meal together for me, but also my family isn't fully plant-based "
"I’m a newbie and not sure if I’m getting the proper balances at each meal." What is Plant-Based Meal Planning? You most likely know what meal planning is, and plant-based meal planning is exactly the same in principle, simply the act of determining what you’re going to eat for a day, a week or a month. Knowing what meal planning is and creating a workable plan that you can use, however, are two different things. 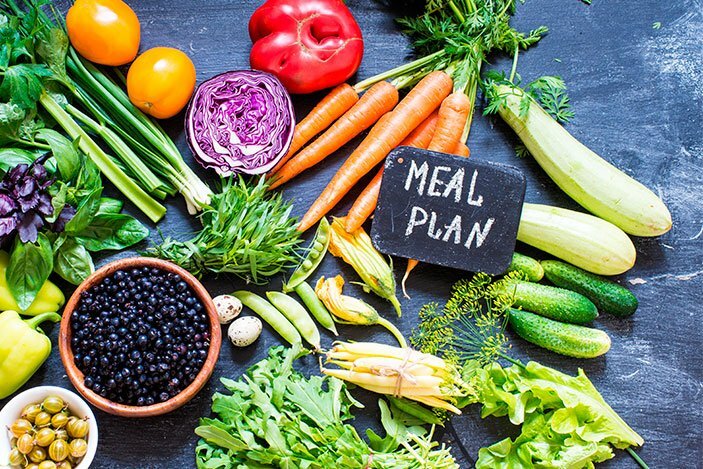 This article will give you a clearer picture of how to make a plant-based meal plan and demystify any confusion that may be getting in your way. Of course, whenever you practice a new skill, there’s a learning curve at first. But I assure you that before you know it you’ll be rockin’ your plant-based meal plans, having more time for yourself and experiencing the many health and wellness benefits of a plant-based lifestyle. As a reminder, a plant-based diet only contains food that comes from plants – such as whole grains, legumes (beans), vegetables, fruit, nuts and spices, and does NOT contain any meat, poultry, fish or dairy. Let go of existing notions about what a complete meal looks like, and open yourself to the idea that a meal can be anything you want it to be – this is a good first step. You’ll stay on track with your dietary goals. You’ll be less apt to impulse eat. You won’t resort (at least not as often) to fast or convenience foods. You’ll save money by buying in bulk. You’ll waste less food by buying just what you need. You’ll feel less stressed and in greater control of your eating. You might want to take a moment now join my email list and receive a FREE Weekly Meal Planner. 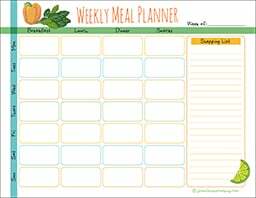 Click on the blue box below to join and download and print your Weekly Meal Planner. I send emails about once a week. Before I was eating a plant-based diet I would organize my meal plans by types of food. For example, I would have chicken one day of the week, fish on another, and so on, and it’s the same with plant-based meal planning. I would suggest starting out with a 1 or 2-week template, and then adjusting your meal planning interval according to your specific needs – maybe you only want to plan a few days at a time, or maybe a whole month’s worth of meals works best for you. And you don’t need to be rigid about it, just remember that what once worked can shift over time. Go with the flow and make it as easy as possible for yourself and your family. This is where you get to have fun! 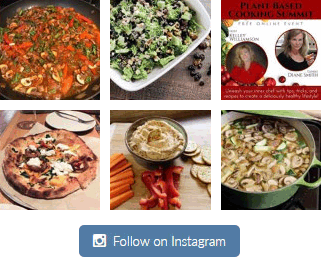 My Plant-Based Cooking website is an ideal site to launch your exploration. You can search by type of meal, for instance, by desserts, soups or breakfasts. Or you can go straight to the Recipe Index and choose recipes from there. But you don’t have to end there. 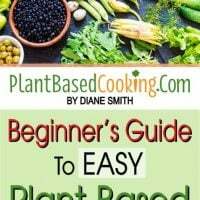 As plant-based eating continues to grow in popularity it seems there are more and more resources for plant-based recipes with each passing day. Some of my favorite recipe sites include Pinterest, the Physicians Committee for Responsible Medicine, Dr. Joel Fuhrman’s and Naked Food Magazine. Of course, you’ll soon find your own favorite go-to plant-based recipe sites as well. 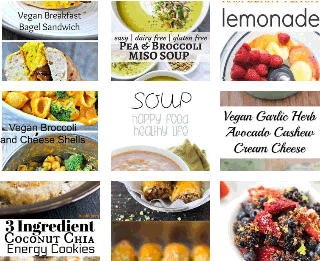 Pick out the plant-based recipes you think you’ll enjoy. While it’s fun to experiment and get fancy after you get a bit familiar with plant-based cooking, I would suggest starting out with meals that are as similar as possible to what you’ve been eating, perhaps things like burgers, pasta, chili, burritos, tacos, stews and soups, or whatever you typically eat. This will help to ease the transition. Make whole grains, such as rice, barley or quinoa, and/or legumes (beans), such as lentils, black beans or kidney beans or split peas, the centerpiece of your dishes. Other possible themes could include: raw foods, locally-grown foods, high protein foods, low-fat foods, burgers, your favorite comfort foods or specific regional cuisines. The menu options are truly endless, so be creative – what would make you feel happy and satisfied? What have you always wanted to make but never got around to? It’s not just about health, you know – it’s about enjoying what you eat as well – always keep that in mind, because joy is part of health. And as you’ll soon discover, there truly is no more delicious cuisine than fresh, wholesome and plant-based. As great as it is to be creative and try new things, sometimes we just need easy and familiar. One surefire way to kickstart your diet and health, and save time on your meal planning, is by having a salad once a day as a main dish, as recommended by Dr. Joel Fuhrman. That takes care of lunch or dinner and leaves you only two other meals to plan. Be sure to check out the “Salads & Dressings” section of my website, under the “Recipes” heading at the top for inspiration and ideas. 6. DR. MICHAEL GREGER’S "DAILY DOZEN"
Include in your meal planning the items that Dr. Michael Greger recommends in his “Daily Dozen” checklist, primarily plant foods supercharged with nutrition that he himself works into his daily routine. Dr. Greger’s “Daily Dozen” video is an excellent and informative educational resource. In it, he goes into detail explaining why each item is included on the checklist and what the serving sizes are for each. I highly recommend that you watch this essential video! “All plant foods are not created equal,” Dr. Greger says at the beginning of his “Daily Dozen” video. “The more I’ve researched over the years, the more I’ve come to realize that healthy foods are not necessarily interchangeable. 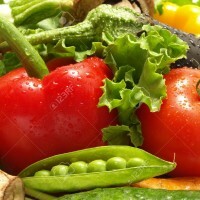 Some foods and food groups have special nutrients not found in abundance elsewhere,” he continues. For instance, sulphoraphane, a liver-detox boosting compound and antioxidant, is obtained almost exclusively from cruciferous vegetables. Likewise, mushrooms, which are actually fungi, may contain nutrients like ergothioneine not found anywhere in the plant kingdom. Be sure to take stock of what you and your family tend to have on hand in the pantry and fridge, and build your meal plans, at least in part, around those foods. Remember that it’s ok to use plant-based approved canned and packaged items. 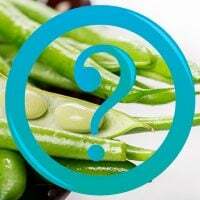 Plant-based approved items have very little to no added salt, sugar or oil, and are only minimally processed. If you’d like some guidance on identifying plant-based approved brands, Dr. John McDougall's Health & Medical Center and the plant-based website Forks Over Knives both offer their own recommendations. Also, be sure to check out my handy list of 49 recipes that you can make with these convenient healthy canned and packaged ingredients. Make good use of leftovers! There’s no sense in wasting perfectly good food, and no reason not to intentionally incorporate leftovers into your meal planning – leftovers are economical, environmentally-friendly, and just make meal planning easier. Learn to cook in bulk so that you’ll have ample leftovers, and then incorporate them into your menu a few days later, or freeze and serve at your convenience. Now that you have a basic understanding of plant-based meal planning, go ahead and give it a try. First, download my Weekly Meal Planner and either print it out or save it on your computer. Next, take a deep breath and relax, and then start planning your first week with as little fuss and strain as possible. You don’t have to do it all at once. Fill in your email below to join my list and received a bonue Weekly Meal Planner to download and print. If it feels overwhelming, it’s fine to plan just a few meals at a time and come back to it later. Your meal plan doesn’t have to be perfect – it just has to be better than how you’re eating right now. It’s all about trial and error, and if you don’t stick to your plan exactly – well, life happens! You can build as much flexibility into your plan as you like. The important thing is to get back on track as soon as possible and not let setbacks throw you completely off course. Meal planning doesn’t have to be a chore, instead, think of it as a game or a puzzle. Once you find weekly plans that work for you, be sure to save them so that you can repeat them. Some people are fine with a two-week rotation, while others prefer, say, four weeks of meal plans that they repeat monthly. You’ve put in all that work, now you’ll want to make the most of it. Just think how great it will be to not have to wonder what you’re going to eat each day! Coordinate your shopping and cooking and your whole foods plant-based lifestyle will be a breeze. Once you discover what works, you’ll want to stay organized and have your favorite recipes and weekly meal plans handy. Dedicate a folder or binder just for this purpose and keep it in a convenient place, or, if you prefer digital, you’ll have your pick of free recipe organization programs for your computer or tablet as well as phone apps. Again, a little time invested up front will pay off in the long run. Do the Best You Can … and Enjoy Yourself! Well, there you have it! I hope this guide gets you off to a good start, and please leave a comment below and let me know your tips for easy meal planning. I’d love to hear what’s working for you. And please remember, plant-based meal planning is a process with its own ups and downs like learning anything new. Some meals, some days and some weeks will go better than others. Be patient with yourself and, most of all, remember to have fun! This is great information, very comprehensive & resourceful! This will be a tremendous help to me & many others. Appreciate you taking the time to put this together and making it available to the public. Thank you so much, this is great information! As a ‘newbie’ transitioning to a fully plant based diet, your site is invaluable. Thank you for sharing. You’re welcome and thanks so much for your comment, Michelle. It’s always great to hear and good luck on your journey! I’ve been looking for help like this. Thanks!